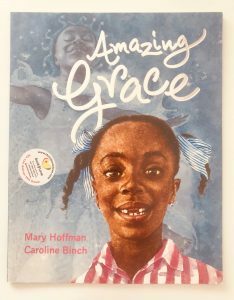 This uplifting story is about a little girl called Grace who loves stories and has a big imagination. She likes nothing more than to act out the stories she hears. One day she’s Joan of Arc and the next she’s Mowgli! At school she discovers they are going to be putting on a play and she is desperate to get the lead role of Peter Pan. However her classmates laugh at her and tell her she can’t possibly play Peter because of her gender and the colour of her skin. Deflated, Grace goes home and tells her family – who rally together to show her that she can be anything that she wants if she puts her mind to it. When Monday arrives it’s audition time and Grace wows her friends with her acting ability. But will she get the part? 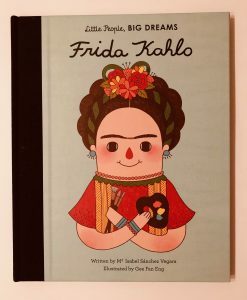 This is such a lovely book about finding the strength to follow your dreams. The life-like illustrations are fantastic and Ivy finds them fascinating. She likes to copy all of Grace’s different acting poses! Until a few years ago I wasn’t aware that Ella Fitzgerald and Marilyn Monroe had been friends and that without each other they may never have reached their true potential or become the icons they are today. 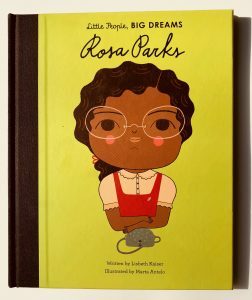 It’s a fantastic story and i’m so glad this book exists so that I can share it with Ivy. 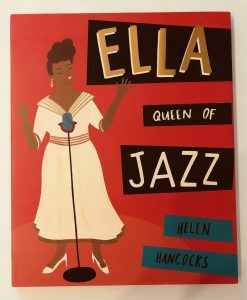 The empowering tale starts with Ella Fitzgerald, a woman of colour with a truly amazing voice. She tours the country playing in small jazz clubs with her band but unfortunately there are many places where she isn’t welcome. Because of the colour of her skin, many venues refuse to let her play, including the largest and most well-known club of all. But unbeknown to Ella, she has a fan who is soon to become a friend. An actress called Marilyn Monroe loves Ella’s music so she calls the club and says that if the owner books Ella to play for a week she will personally visit each night and sit in the front row, ensuring the paparazzi and press will be there. The owner agrees, Marilyn sticks to her word and Ella gets the opportunity to play to large audiences every night. She is a hit and becomes a huge star. 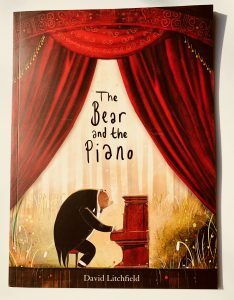 There is something hauntingly beautiful about The Bear and the Piano by David Litchfield – and this is another one where Ivy feels compelled to stroke the pages when I’m reading it to her. The story is about a little bear cub who finds an old piano in the woods. Fascinated by the sounds it makes, he visits every day until he is an accomplished pianist, but he still doesn’t really understand what the piano is. His playing begins to draw a crowd and eventually Broadway comes calling. He would really, really like to play his piano for audiences around the world but he’s scared of leaving his home and family behind. What will happen if he takes a leap of faith? And will his friends forget all about him once he’s gone? 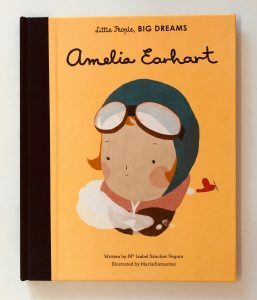 This is a really powerful book about how following your dreams doesn’t have to mean losing your roots. 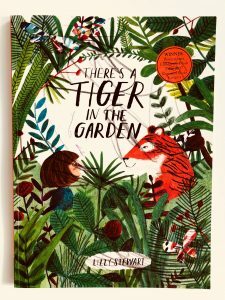 This beautifully illustrated book by Lizzy Stewart is one of Ivy’s current favourites. She loves the pictures so much that she strokes the pages. The story is about a little girl called Nora who is staying with her Grandma and announces that she is bored. Grandma sends her off in to the garden promising that if she looks hard enough she’ll see the tiger that lives there, along with dragonflies the size of birds, plants that will eat you up and a polar bear! Nora is utterly unconvinced but then she sees a dragonfly and chases it deep in to the garden. Could there really be a tiger down there too? And what will happen if she finds him? This won the Waterstones Children’s Book Prize this year and I can totally see why. It’s fab!